Home » Posts Tagged "junk car removal service"
It is a fact that nothing lasts forever and sadly, so is our cars. No matter how we care for them, that time will come that we need to let go of it whether we want to buy a new one, emergency financial need, or we just want sell it. Here on this article are 7 things to consider when you decide to sell it. Organized paper works such as registrations, bills and etc. Make sure that the paper works such as mentioned above are ready. When you want to sell your car, it is an essential part of the transaction when transferring the deeds to the new owner. A registered car is more likely to be sold easier so if your car is registered up to date, your car is easy to sell. Inspection and Road worthiness of your car. You may not know your potential buyer personally and for that it’s your responsibility as the seller to ensure the safety of the car you are selling. Engine, brakes, tires, chassis, interiors, lights, and clutch are inspected and it is recommended to be done by a shop for reassurance. On the other hand, if it’s not drivable, there are salvage yards like us New York City Auto Salvage and Glass who are paying cash for junk or cars to be wrecked. You can consider that as an alternative. Make it more profitable, return your car to stock. When you have the chance to modify your car, for example, aftermarket mag wheels, stereos, seats, or suspension, you can make the most of your car if you return it to stock. Sell your car separately from the aftermarket parts you installed. The same way you will do with the parts, sell them separately and you will make more profit with your car. Make your car presentable. After we make sure the safety of our car, we have to ensure that it is clean and looking at its best. We can put in in a car wash, put some wax and tire black, clean the dashboard, if your car smells old, you can put some air freshener and wash the upholstery to make it smell better. A fresh looking car is the one that meets the eye. Advertise and post your car for sale in classified ads, social media and word by mouth to sell your car. Make the use of the web by advertising to reach more people. The more people you reach, the easier it is to sell. Tell the history of your car, if there is something wrong in the car during the sale then tell it. If it got involved in an accident relate it or whether its flooded. It is always best to be honest. In the end you will have no regrets. Then there you have it the 6 simple ways to do when you decide to let go of your car. If you need some parts to repair your car, why not go to New York City Auto Salvage and Glass. Just contact us at (718) 297-9797). We are happy to serve you. How Much Money Can I Get For My Junk Car From A Junk Car Removal Service? New York City Auto Salvage and Glass buys junk cars based on the year, make, model and condition of your vehicle. 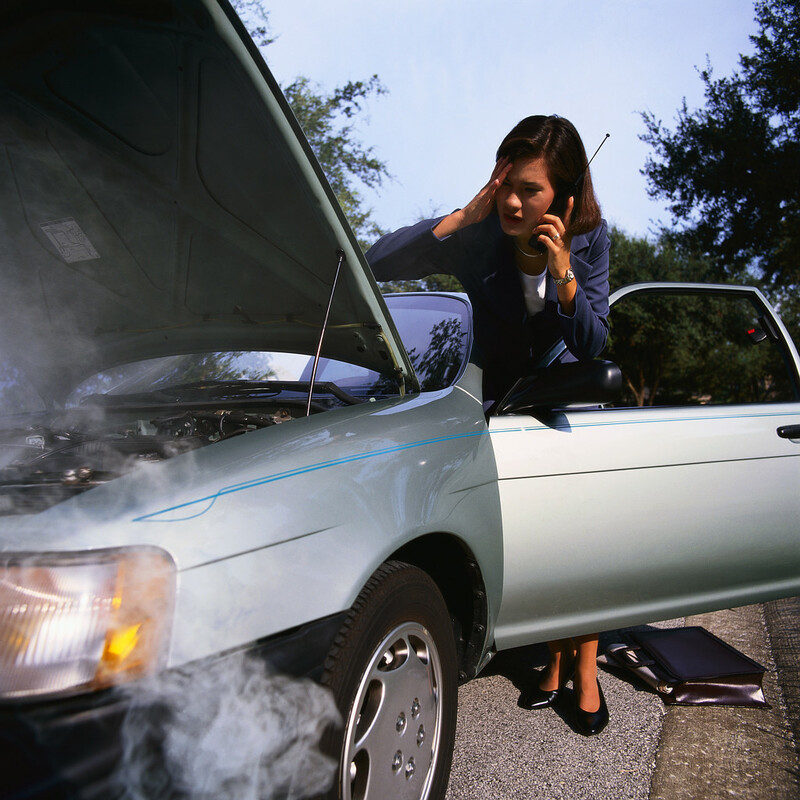 If your car is in poor condition and does not run, we will still pay top dollar! If the junk car is running and the body is in great condition, you will get top dollar paid based on the market value for a car in that condition. 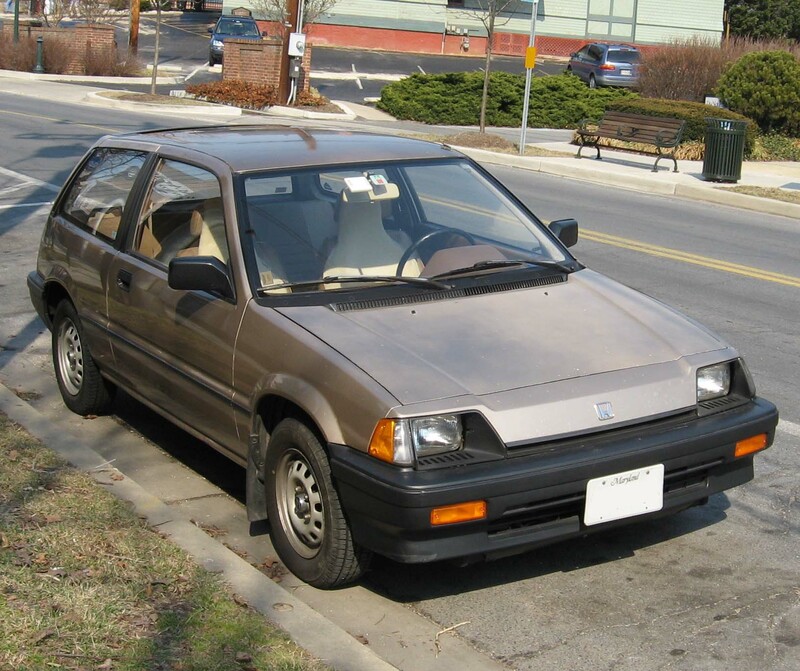 However if your car is running great and has a great body, we can buy a junk car like that for TOP DOLLAR. If you happen to have a used car for sale, then you can contact us and we will give you the info for our partners who buy used and wrecked cars. 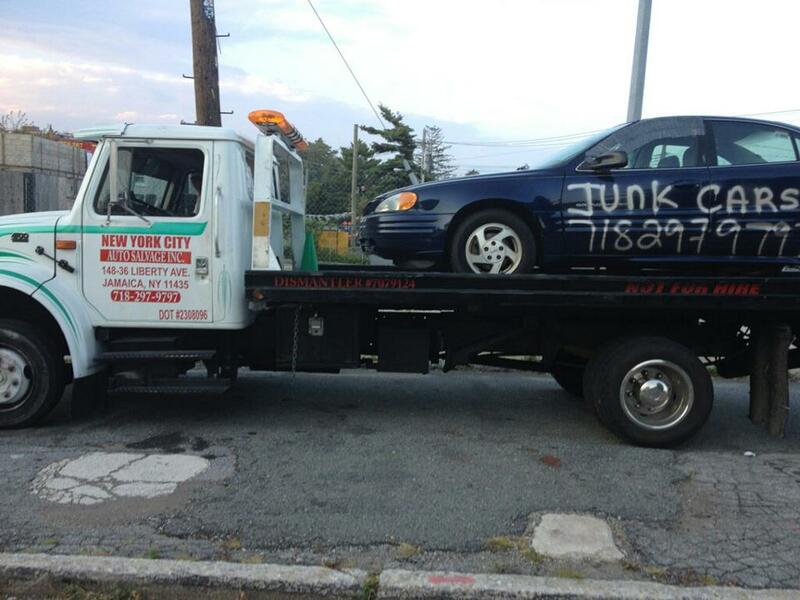 To have a junk car removed, New York City Auto Salvage has you covered. We junk your car or truck and provide a receipt and a Junk Car Waiver Of Liability Form. Please contact Vinny at 718-297-9797 or Get A Free Quote! Don’t forget to follow us on twitter and become a fan on FaceBook! New Car Prices Are Low Right Now Maybe it’s Time To Sell Or Junk A Car Or Truck today!! Another new year is upon us as we get ready to move forward from an emotional devastating set of disasters. Many homes and cars were flooded this last October here in New York and New Jersey. This left people with nothing but a clean start at a new beginning, with the change of making things even better then before. Some car companies will be covering flood damaged cars and others will not depending on your overall policy. If you don’t have flood coverage for your vehicle then more then likely you will need to get the car checked out by a auto mechanic to make sure there is no chance of that car running if you have no other options of other cars at your disposal. If you find your self in need of a junk car removal service anywhere in NYC, NJ, Queens, Bronx and Long Island if you need a free quote on how much we can pay you cash for your junk car or truck. Do You Need A Licenced Auto Salvage Yard For A Junk Car Removal Service Call?
. For instance you will have a solid receipt with the following numbers DISMANTLER # 7079124 S.H.D.A # 0965610 S.H.D.G #0965612 to release you of any liability once you junk a car. NYC Auto Salvage has been removing junk cars in NY for many years now. We also pay top dollar for junk cars. We have our own trucks to dispatch to any location for a junk car removal made easy, all you have to do is make a call or fill out a free online quote. We can pick up junk cars early morning all day and late night to work around your busy schedule. No Title! No Keys! No Problem!! In fact you will be paid top dollar when you junk a car with us, you will also get an official receipt that will act as a waver of liability excusing you of all liabilities that may arise if the car is used in a manner that can cause issues or lawsuits. With the receipt all of that liability is on New York City Auto Salvage Inc.
We also make the process as easy as picking up the phone and scheduling and junk car pickup service call with the junk yard. Registration is required to have a junk car removed. When we junk a car we give you a receipt on the spot. If other companies tell you you have to wait for a receipt have them drop the car and call another junk car removal service company that does like us. No Title! No Keys! No Problem!! New York City Auto Salvage has you covered we junk your car or truck and provide a receipt and a Junk Car Waiver Of Liability Form . Please contact Vinny at 718-297-9797 or Get A Free Quote!